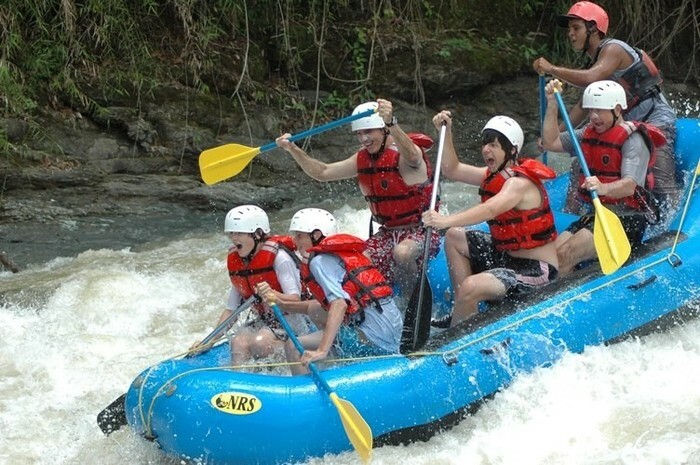 “I am looking for a 9 days trip to Costa Rica in which I will be able to do many different activities such as hiking, biking, rafting, kayaking, surfing nd also have a little bit of time to relax on the beach and explore the towns. 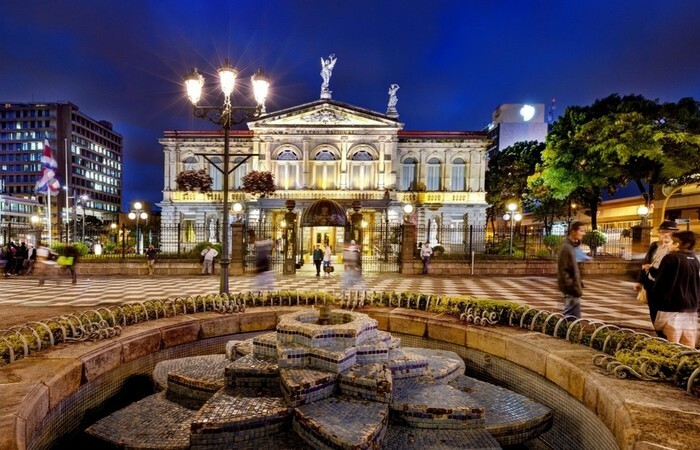 Randall Jiménez, a local specialist from Costa Rica, helped this traveler put together a customized itinerary. My name is Randall, I am the kimkim travel specialist in Costa Rica. I’m a native Costa Rican, and I’ve been helping travelers plan adventure trips to my country for over 20 years now. 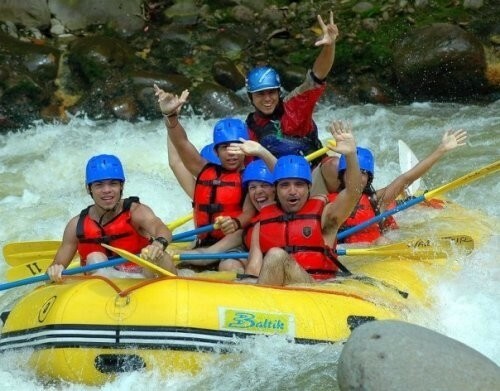 I see that you are looking for joining a group during your upcoming trip to Costa Rica. At this point we don't have a group confirmed but I could arrange a custom itinerary for you including the activities that you are looking for, where you would be joining different people on each activity. If you are interested in this option, please let me know the arrival and departure dates that would work for you, so I can check availability on activities for those specific dates. 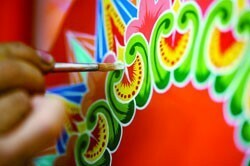 A custom itinerary could be an option. I would like the first week of September arriving the 2nd and leaving the 10 or 11th. If not any other week in September works for me, arrival will be on a Saturday and departure on the next Saturday or Sunday. Also, if I have a custom trip, will I need to go from point A to B to C on my own or will I always be with someone or a group? Let me know the available activities or the week with the most activities available. The trip seems great! I was just wondering if there are many nights when we will be staying in hotels? Since I am traveling alone, I enjoy the idea of staying in hostels to meet people, especially the last few days in Manuel Antonio which are beach days. 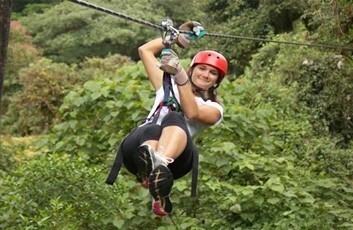 Also, the last few days in Manuel Antonio, the description says there are optional activities that can be added on. I would like to look into the extra activities that are proposed, especially if I am staying an extra day. 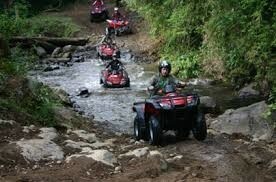 So for the activities, I would like to do the ATV, the surf lessons & sea kayaking/snorkeling. The order doesnt really matter. 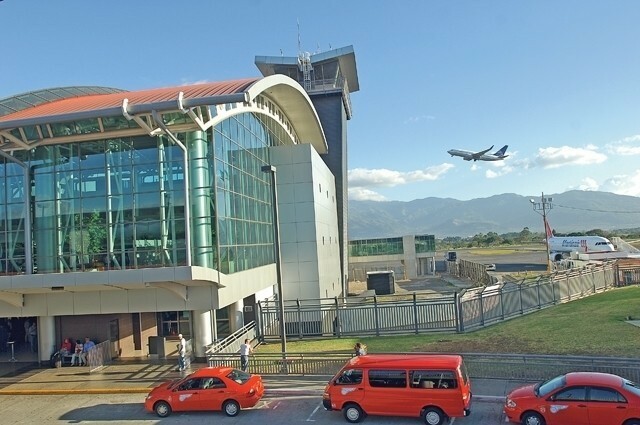 To book my flight for the trip, at what time is it best to arrive in San Jose? I believe there is nothing planned on Sept 2nd, so I could walk around and see the city? Is it safe for me to be going around alone? 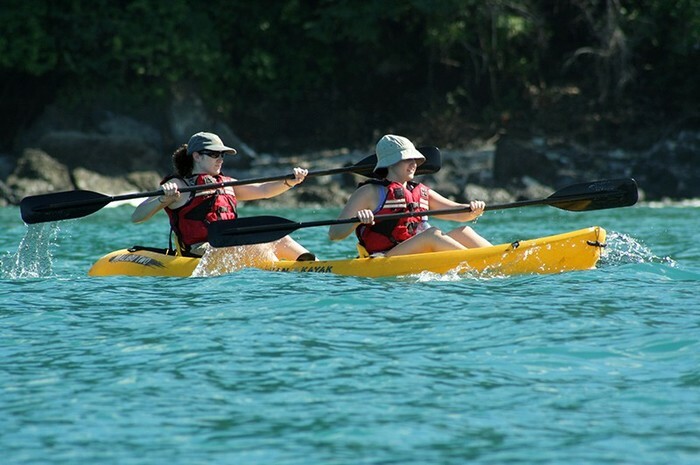 I checked availability with the local tour operators in Manuel Antonio and so far there are no open departures for the ATV tour and for the sea kayaking and snorkeling tour - I will keep checking availability and let you know if something comes up. The surfing class can be arranged as they don't request a minimum of participants to operate the class. 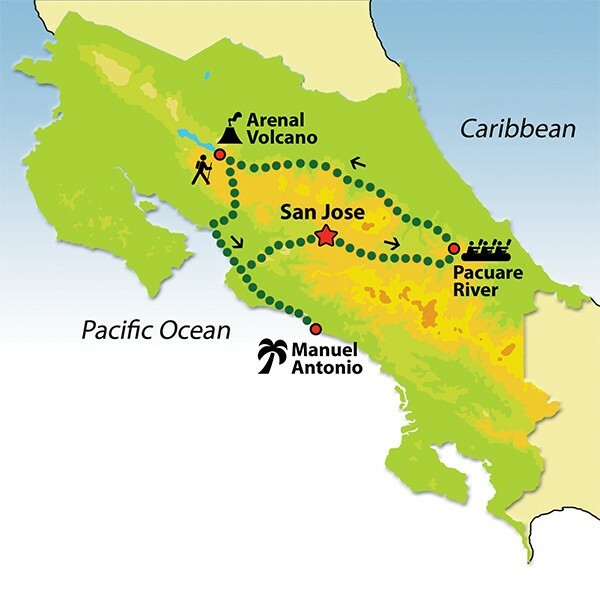 Just for you to know, the Manuel Antonio guided hike tour is also available. You can arrive anytime in San Jose on the 2nd, as you said, there are no activities scheduled for that day, so if you arrive early, you can visit the local markets - although Costa Rica is essentially a safe country with little street crime, please remember that San Jose is a capital city and like most capital cities it draws the less fortunate people who may be tempted by some of your prized possessions. Ok thanks for the info. I would really like to do the ATV and kayaking if they become available, they were my 2 favorite out of the list. The national park doesnt seem very amusing to me. I would rather choose another one of the kayaking or snorkeling activities on the list. No problem Shandy, I will keep you posted is the availability changes for those activities. 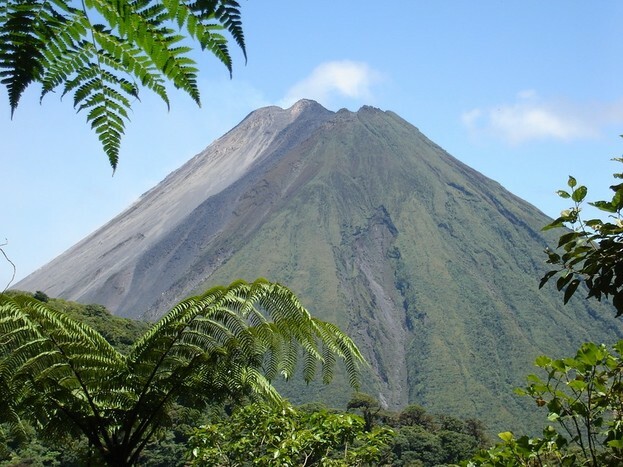 I just checked in Arenal with a local tour operator and we could schedule the ATV there on September 6th in the morning and after that, transfer you to Manuel Antonio. As far as the sea kayaking tour, we can keep checking availability even when you are here in the country and if a trip departure is confirmed, we can help you with the reservation and you can pay directly to the local tour operator. That would be great for the ATV! Thank you!! For the kayaking, I see that there are other kayaking options and snorkeling options, can we look into booking those just in case the one I want never becomes available? Great news for the sea kayaking & snorkeling tour too, we have another customer that is interested, so we can now book the tour for you.